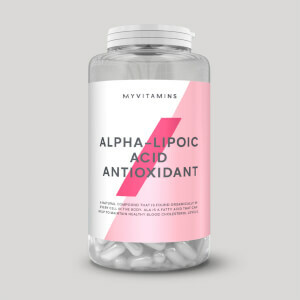 Arguably the most popular of the 20 amino acids and naturally occurring in protein, which helps to build and repair new muscle1 — it’s important for all fitness goals. Accredited by the Cologne List®, our L-Glutamine Amino Acid has been through rigorous quality and purity testing, and is officially one of the best amino acid supplements out there. L-Glutamine is an amino acid that the body is only able to make in small amounts, so we must get some from our diet. Our formula can help restore glutamine levels after exercise, help support muscle function, and play a role in protein synthesis. 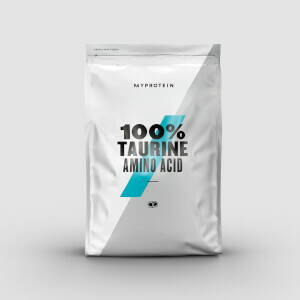 Naturally found in meat, fish, and eggs, our L-Glutamine Amino Acid is a super-convenient, cost-effective solution that can simply be added to your protein shake, with no meal prep required. When to take L-Glutamine Amino Acid? We recommend adding 1 tsp (5g) to water or juice, one to three times daily — morning, noon, and night. What to take L-Glutamine Amino Acid with? Blue Raspberry: Natural and Artificial Flavoring (Natural and Artificial Flavors, Sucralose, Acesulfame Potassium, FD&C Yellow #5, FD&C Blue #1). Watermelon: Natural and Artificial Flavoring (Natural and Artificial Flavors, Sucralose, Acesulfame K, FD&C Red No. 40). The nutritional information is based on the Watermelon version. Ordered the berry flavour by mistake instead of unflavoured. Decided to give it a try anyway. The taste isn't bad at all. Mixed it with the dehydrated peanut butter they sell here to see if I could make a peanut butter and jelly sandwich in a shake. Didn't work out as expected (the berry overpowered the peanut butter and the two flavours didn't gel as much as I wanted) but still, not bad at all. I'd order it again if I wanted a flavoured product, but I prefer unflavoured sups so I have better control over the final taste of my shakes. That being said, I'll still finish up this bag when I'm in the mood for a berry flavoured drink. Really love it, even though I always go for the sweetest product, I will definitely come back to it. Nice, smooth, not sugary at all. Perfect mixability with water. First off, to the people saying tasteless should be tasteless... Tasteless means no flavour added; it's going to taste how it comes in pure form. Anyways, I've tried Blue raspberry and Raspberry lemonade so far. Blue raspberry was awful (too sweet and bitter at the same time, chemical taste), however Raspberry lemonade is very good. My strength, endurance, and muscle mass have all improved after 2 weeks of taking this product. Definitely worth it for the price and arguably as effective as creatine (in my experience). It's worth a try for the price. Taste like KoolAid. Pretty good blueberry flavor. Where did the flavors go? I have used a few different flavors from this website. They are gone. The only one left is blue raspberry. Any chance of getting back the orange or tropical or unflavored?